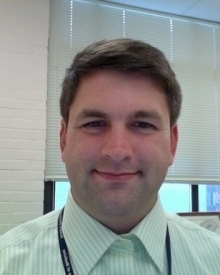 The DC D-CFAR would like to congratulate DC D-CFAR member Dr. Mark Burke, PhD, for his new NIH award, "Mechanisms of Pediatric HIV Neurological Impairment, 1R03MH107261-01". Dr. Burke previously received a DC D-CFAR pilot award in 2012 to study "Altered neurodevelopment in pediatric HIV infection". Dr Burke and his collaborators plan to take advantage of ongoing pediatric SIV pathogenesis and vaccine studies to maximize the use of nonhuman primate resources by expanding on the original pediatric SIV-related immunology studies to include quantitative neuropathology studies. They hypothesize that HIV infection in infants will induce neurodegeneration and impaired neurogenesis. Neonatal rhesus macaques (Macacca mulatta) that infected with SIVmac251 will be used to test this hypothesis. After a 6 to 33 week survival time, the animals were sacrificed for quantitative histopathological analysis. AIM 1 will determine the extent of pediatric SIV-induced neurodegeneration in the hippocampus and fronto-limbic system and its relationship to viral loads. In AIM 2 they will determine the mechanism(s) of pediatric SIV-induced neuronal loss in the hippocampus and fronto-limbic system. The goal of this project is to assess the impact of early HIV infection on the brain towards the long-term goal of evaluating treatment paradigms designed to protect the integrity of the developing brain from combined viral and bacterial infections through an interdisciplinary approach.